Gorgon Medusa is a painting by Martin Davey which was uploaded on January 9th, 2011. 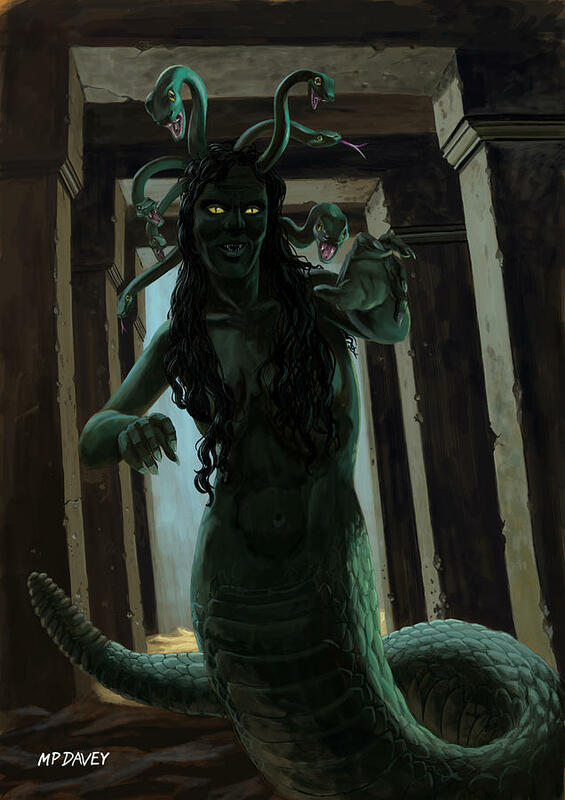 This illustration depicts the 'Gorgon' from Greek mythology. The creature is seen in a coridor of an ancient ruined temple. 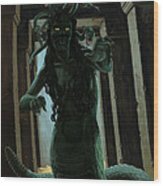 It has a womans head and torso, but a tail like a snakes with a rattle at the end. The head has many snakes coming out from it. and looking in to the eyes of the creature will turn the viewer to stone. 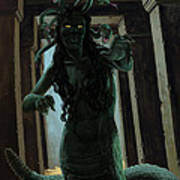 The Gorgon is also known as Medusa, and Gorgoneion. This is an photoshop illustration painted to a size of 8" x 10". The artwork was created in 2011. I wanted to keep the figure as a silhouette to add more mystery and be able to show the glowing eyes. It was important to have some backlight to show up the figures silhouette, so the use of having daylight at the back falling in to the corridor on to the sand achieves this aim. Wow! Like from the movie Clash of the Titans which I love, this is great! Thanks very much Anthony. Pleased you liked it!